Training Supervisor: Hideaki OIKAWA Ph. D.
Diel-Alder type natural products isolated from mulberry tree, such as chalcomoracin, as shown in figure 1, are proposed to be synthesized from dienophiles and dienes by enzyme catalyzed intermolecular Diels-Alder reaction. 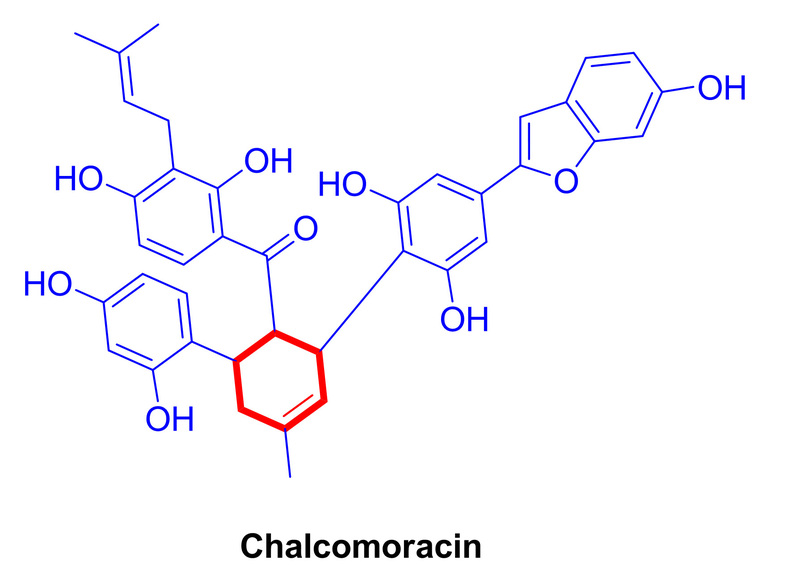 In the proposed biosynthetic pathway of chalcomoracin, MaIDT was reported to be a prenyltransferase for the synthesis of morachalcone A, but the following steps to synthesize chalcomoracin from morachalcone A are still unknown. By doing transcriptional analysis of UV-treated Morus alba’s leaves, we have identified prenyltransferases X, Y and oxidases I, II, as the candidate genes involved in the biosynthesis of chalcomoracin and tried to express these genes. We have successfully amplified oxidase I and expressed it in E. coli by far. Now we are working on its activity test in vitro. On the other hand, before trying to amplify and express the prenyltransferases X and Y, firstly we have tried to express the known MaIDT in yeast and confirmed its activity in vitro. Now we are trying to amplify prenyltransferase X and Y and express them in yeast just as same way as we have done on MaIDT. Later we will check the enzyme activity of prenyltransferase X and Y. It is really my great pleasure and honor to study in Hokkaido University, and I am truly grateful for prof. Oikawa to accepting me to his group and taking good care of me both in life and science. Meanwhile, I want to thank A3 foresight program (program leader: prof. Ueda, Tohoku university) for providing the financial support. Nomura, T; Hano, Y.; Fukai, T., Proc. Jpn. Acad., Ser. B, 2009, 85, 391. 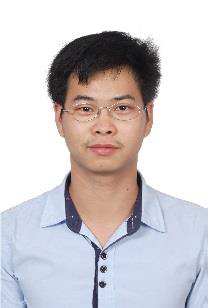 Mr. Gao Lei from National Institute of Biological Sciences (Beijing, China) have finished total synthesis of plant phytoalexins (PA) kuwanons in Prof. Xiaoguang Lei’s lab (A3 member). Now, his interest is shifted to a biosynthesis of this Diels-Alder type metabolites which has been one of major research topics in my lab. After arrival, he reexamined the gene expression data of PA-induced cells and non-induced cells and he found several induced genes. He has already succeeded expression of two gens and detected one enzymatic activity that provides substrate of a putative Diels-Alderase. He is an amazing hardworking student. I am pretty sure he is going to get a nice result during his stay in Sapporo.